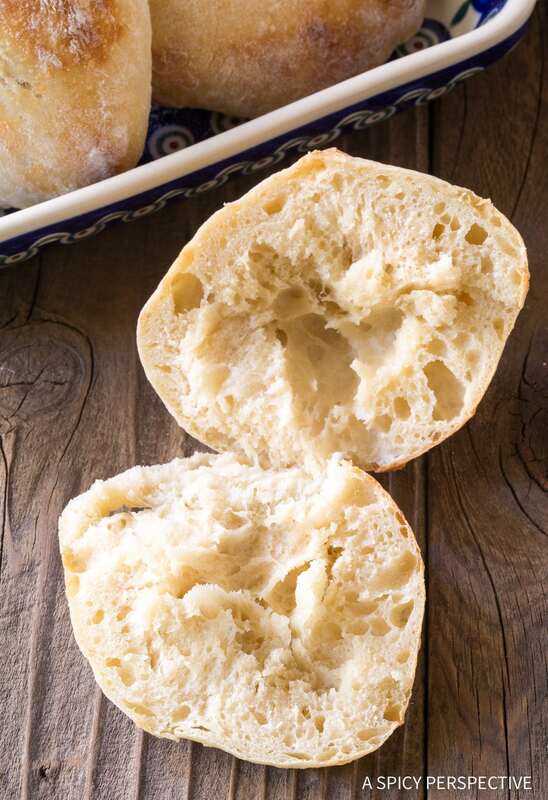 Rustic bubbly Croatian Lepinja Bread, an absolute perfect sandwich bread! We’ve all experienced that moment when you bite into a special loaf of bread, and our body responds accordingly. Our shoulders slump in relaxed ecstasy and our eyes roll back. We chew very slowly, as to take in every second of this carby religious experience. Only certain kinds of bread can initiate this sort of reaction. Last year I spent a couple weeks in Croatia with a friend. We encountered many new and inviting things. Yet it’s the Croatian bread that has stuck firmly in my mind. I can’t get over the mouth-feel of Croatian Lepinja bread, with it’s soft bubbly texture, and chewy pull. 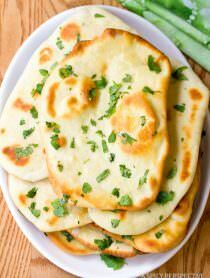 It’s a cross between the best ciabatta bread and middle eastern flatbread varieties… On steroids. It has become the benchmark by which I measure all other breads. What’s so crazy about Croatian Lepinja Bread is that it’s not much different than other bread recipes, as far as the ingredients go…. Bread flour, yeast, a little salt, and little sugar. However it’s the proofing and baking method that make all the difference. To make proper Croatian Lepinja Bread, you need to “proof” or allow the bread dough to rise three times. This creates the gaping bubbles that make it so wonderful for stuffing with sandwich fillings. This process could take an entire day. Although if you set your oven at a low temperature, and proof the dough in the oven, you can easily reduce the proofing time by half. Croatian Lepinja Bread dough is very sticky. Therefore try to do most the kneading with your stand mixer. You can knead the dough, then place the entire mixing bowl in the oven to proof, without ever touching it. Repeat the kneading-rise process twice, then dump the dough out on a well-floured work surface and cut it into twelve equal pieces. Roll the edges under to form circles and press them flat. Then proof the dough again one last time. Other than the 3-step proofing process, the secret to amazing Croatian Lepinja Bread is to bake it at a very high temperature, with a pan of water underneath to create steam. This keeps the bread ultra moist on the inside, while still creating an alluring external crust. 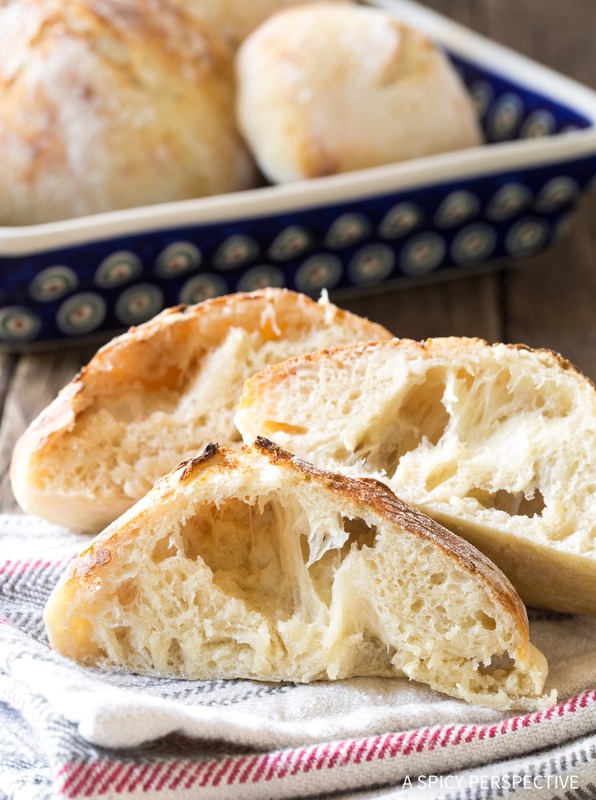 If you’ve never given bread-making a go, our Croatian Lepinja Bread is the place to start. You can totally do this. Just don’t skimp on any of the listed kneading or proofing times in the recipe below, and you will experience the most tantalizing pillowy bread you’ve ever tasted. PS – What I’m calling “Croatian Lepinja Bread” is a regional bread that crosses government boarders… Proving good food has no boundaries. It is found in Bosnia, Slovenia, and Serbia as well, and is often serve with Bosnian Cevapi! 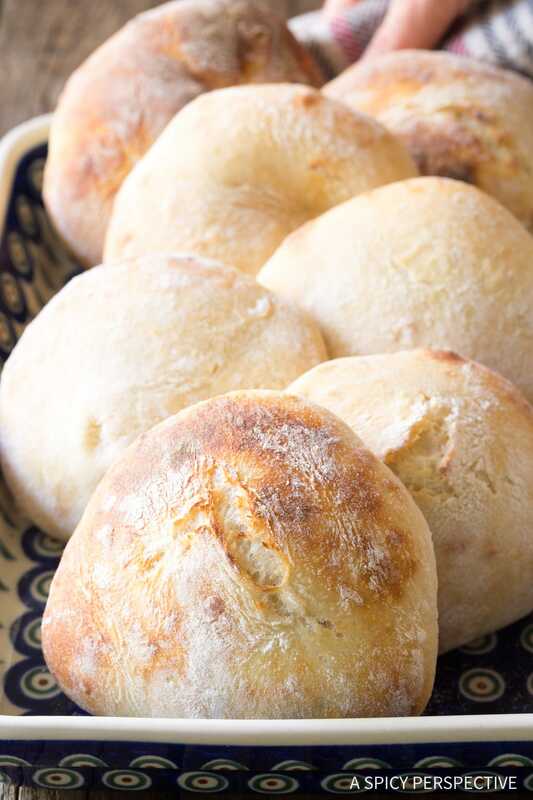 Croatian Lepinja Bread - This simple and authentic bread recipe makes small sandwich loaves of bubbly slightly sweet Croatian flatbread! Preheat the oven to the "proof" setting. If your oven does not have this setting, set it to the lowest temperature possible, around 160-175 degrees F. Move the oven rack to the lowest position the make room for a mixing bowl. Once the yeast is foamy, pour in the salt and lukewarm water. Using a bread hook attachment, turn the mixer on low and start adding the flour, one cup at a time. Let the mixer run for 6-8 minutes, kneading the dough. The dough will be very sticky. Cover the mixing bowl with plastic and set it in the warm oven for 1 hour. 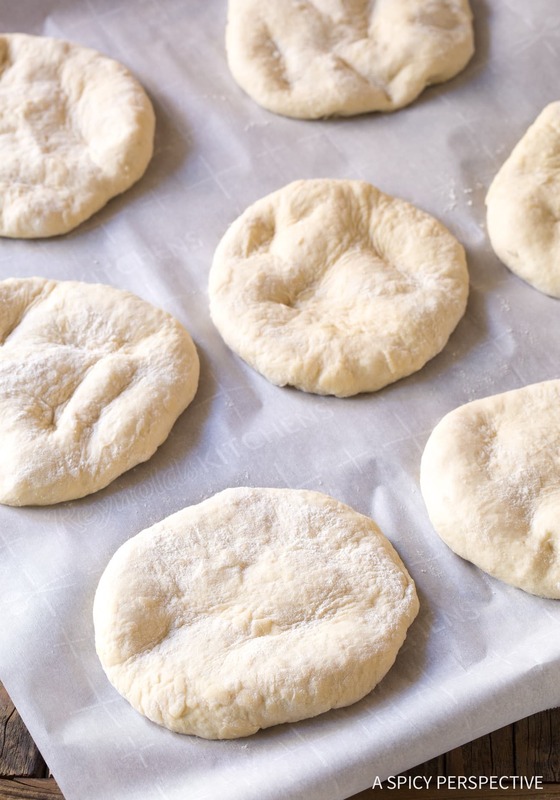 After an hour, flour your hands and punch down the dough. Fold it over a couple times in the bowl. 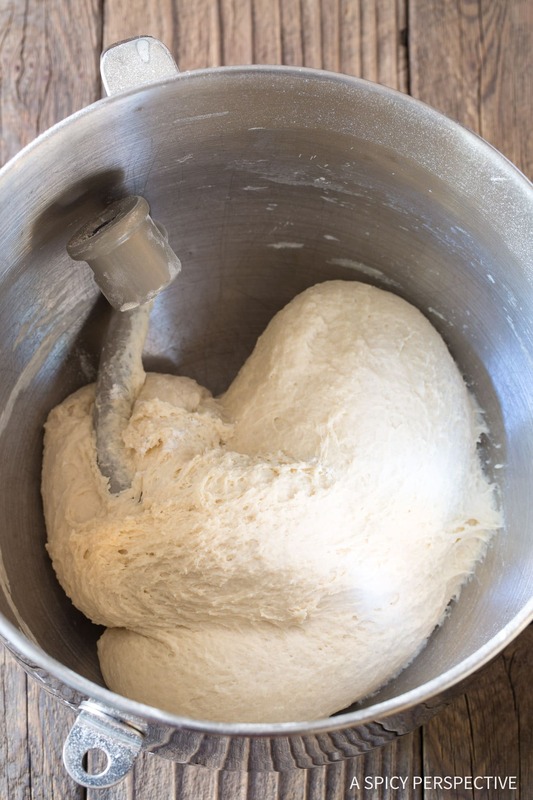 (You can also "knead" the dough again with the mixer to avoid touching it. ) Cover again and place it back in the oven for another 30 minutes. Line two baking sheets with parchment paper. Flour a work surface with ample flour. Dump the dough onto the surface and cut into 12 equal pieces. Knead each piece and roll the edges under to create round mounds. Press the mounds flat with your hand, and set them on baking sheets. It's ok if the flattened dough has finger marks in it. Place the baking sheets back in the proofing oven for 20 minutes. Then take them out and adjust the oven racks, one at the bottom and one in the center. Place a large baking dish of water on the lower rack to create steam. 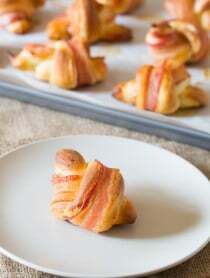 Then reset the oven temperature to 550 degrees F.
Once the oven is fully preheated, bake one sheet of rolls at a time for 6 minutes, then turn the oven on broil so the heat source is above. Broil for 1-2 minutes to create color on the rolls. Reset the oven to 550 degrees F, and repeat the process with the second sheet. Cool and enjoy! My favorite kind of bread ever!!! This recipe is awesome!!!! Lepinja are the BEST!! I can’t wait to make me some!! YUM!! My husband liked it and requested me to make it again. This is the most perfect homemade bread! Thank you! These would be so fun to make this weekend for our lunches! I can’t wait to take my first bite. 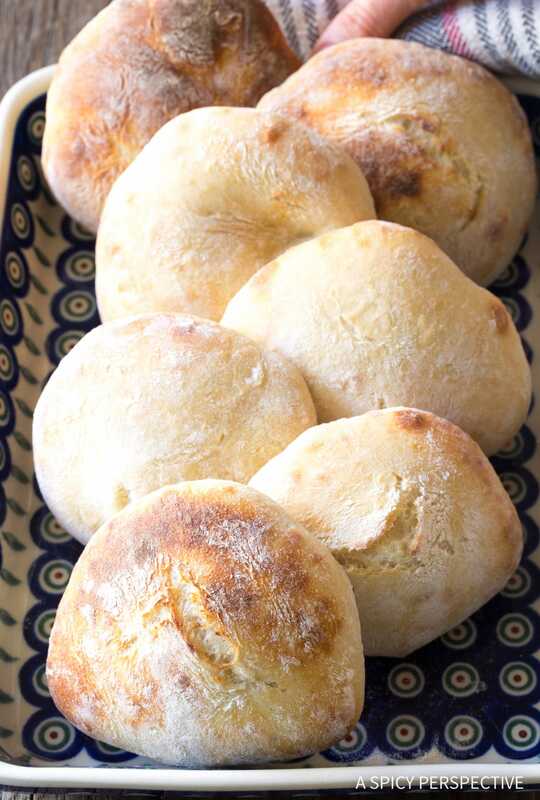 I regularly make Peter Reinhart’s Pugliese bread with a few of my own additions. The bread takes 2 days, a pre-ferment, mashed potatoes, and potato water – it’s my family’s favorite. They declared this bread *almost* as good, but considering how much less work is involved they will happily accept these as an alternative when I can’t expend the effort on the Pugliese (homeschooling, running a co-op, other work, and general day to day life sometimes excludes worthwhile, but time-consuming bread) and this is a fantastic recipe. I’m making my second batch right now. I did get ahead of myself and threw together all the dry ingredients forgetting the yeast should have been bloomed first. As I use instant yeast I think it won’t be a problem. But we shall see! Yay, that is high praise indeed. So glad you liked it!! Made these today – Delicious! Dough was so wet, I was sure they weren’t going to turn out good, but they did! Husband loves them. I didn’t have to broil, as the rack was towards the top, and they browned with bake. 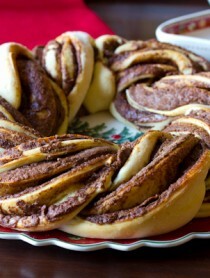 Thank you for the encouragement to try this… Great recipe! These look really amazing! Looking forward to trying them and such an easy recipe. Love getting all your emails. Yeah- It’s Croatian Bread, for sure! No doubt, buddy. I had some once along the Marginal Way in Ogunquit, Maine It was out of this world – and Croatian, for certain. I love to eat it while I’m listening to music. Especially upbeat music with a good tempo. But I like to cook it when I’m watching television. Mostly Frasier.